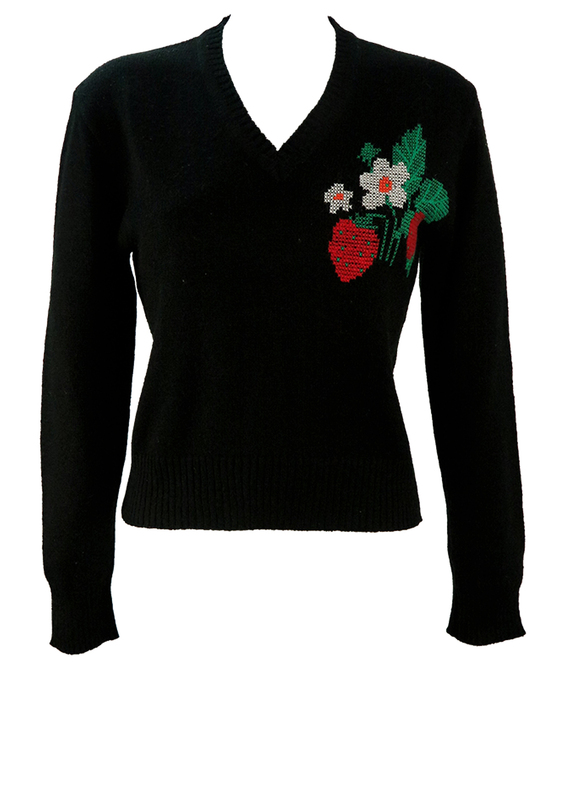 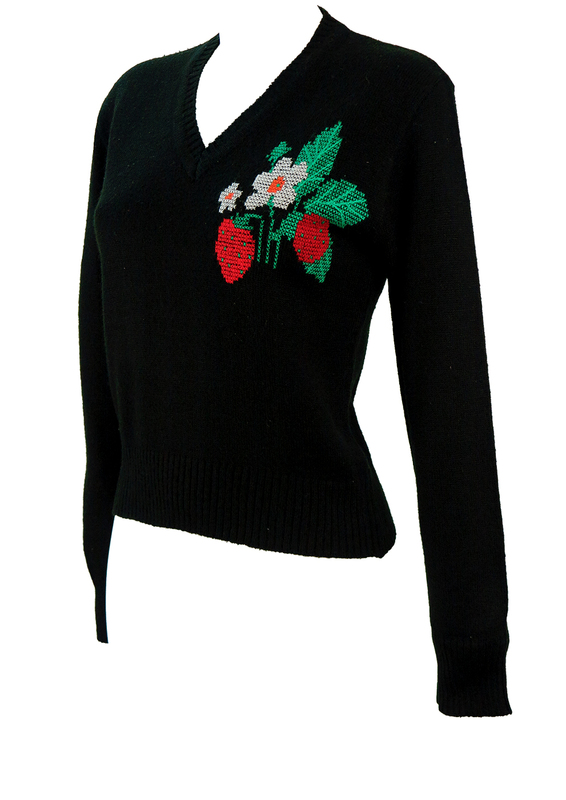 Black V-Neck jumper with pretty cross stitch embroidery featuring a strawberry themed design in bright colourways of bold red, green, white & orange that pop out from their contrasting black backdrop. 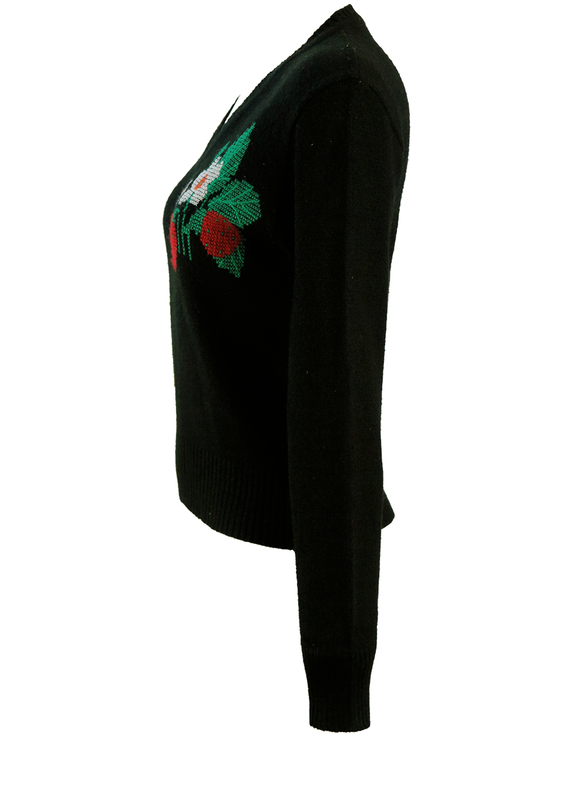 We approximate the jumper to be a size S, however please refer to our measurements for further sizing guidance. 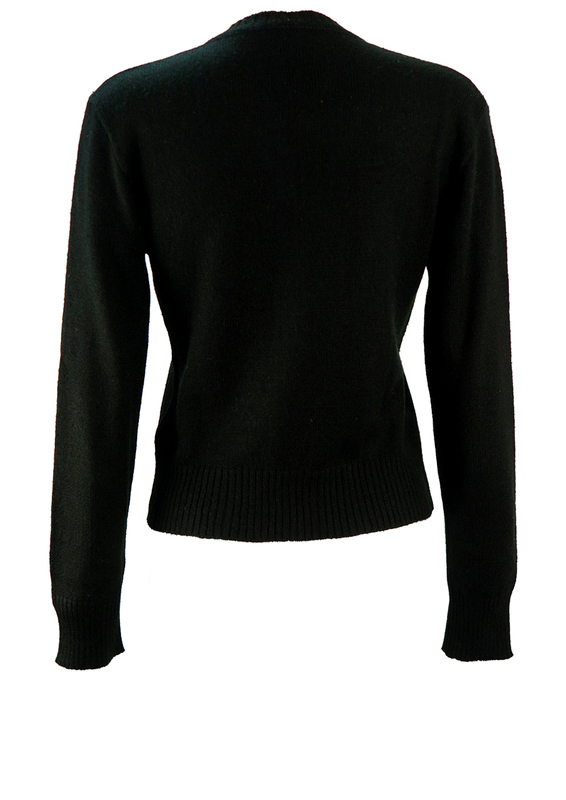 There is no fabric label however the jumper has a mid weight woollen feel to it – possibly blended with a man made material like acrylic.